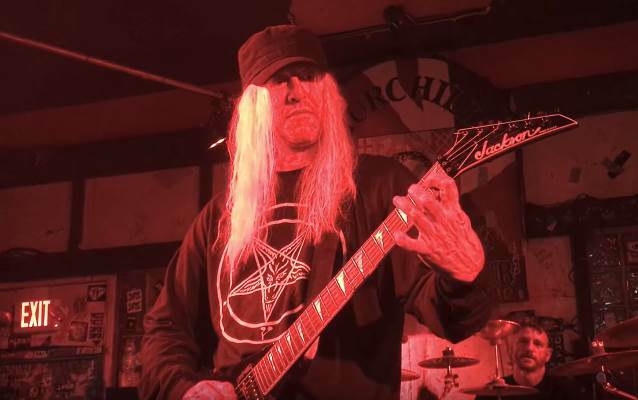 Amon, the band featuring former Deicide members Eric and Brian Hoffman, have premiered a lyric video for a demo version of their new song “The Gates Will Burn.” This news comes after the group signed with Hammerheart Records last year to work on Amon and the classic Deicide catalog. Former Deicide members Eric and Brian Hoffman have signed a new deal with Hammerheart Records. The label will be working with the duo on Amon and the classic Deicide catalog. “Hammerheart Records enters agreement with the Hoffman brothers to work together on Amon and the classic Deicide catalogue!